Forever homes, students, and our season farewell concert! — Piano. Push. Play. Forever homes, students, and our season farewell concert! 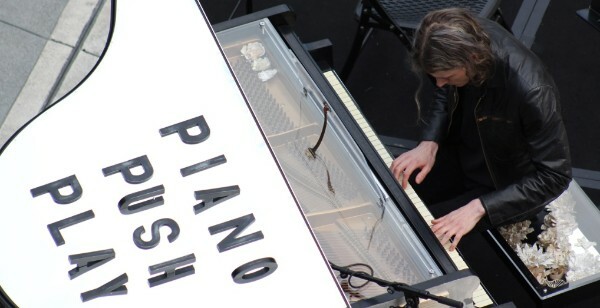 This phase of the Piano Push Play project is always a little bittersweet for us. 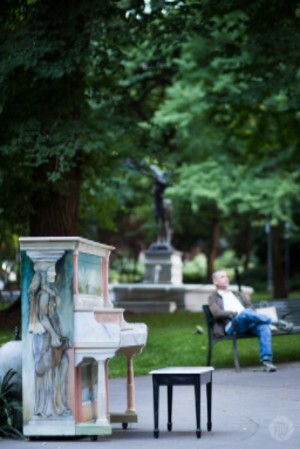 The pianos are coming off the streets, a sure sign in Portland that summer is ending. We'll miss these delightful beauties. But many of these pianos are finding forever homes with artists, co-ops likeArtistic Portland (the bright and beautiful Mitsuko by Susannah Kelly ) and other community organizations. Do you know of some place that needs a piano? We’d love to hear from you. Please let us know in the comment thread on this post on our Facebook page. Having visited Council Crest and Mt. 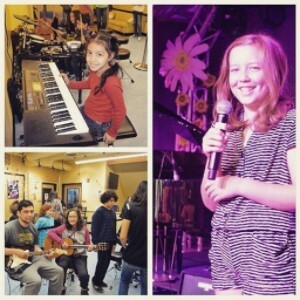 Tabor, globetrotting Nadia by Big Giant is visiting the Youth Music Project in West Linn. This is our first foray into that wonderful southern location. Please give them a visit! It is so important for young musicians to find an audience that appreciates their hard work, practice and artistic expression. Be that for them! Please RSVP on our Facebook event page and tell your friends. Forward our website to a friend! Older PostIn this issue: Stars visit the pianos, more concerts, a peek behind the scenes, and a call for your help finding forever homes.